To all U.S. readers happy 4th and I hope you are having a wonderful holiday. I’m back on the blog with another post and hoping to inspire you by showcasing some sample layouts. This week I am featuring the Nature Hike Collection. My favorite part of the collection are the brushes and stamps and Karen mentioned that her favorite were the critters. I admit I hadn’t taken a close look at the critters but after her mention I did and they are quite clever and cute. 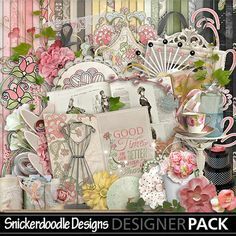 As always this collection is packed with a variety of papers and elements suitable not only for outdoor themed layouts but heritage and other themes as well. 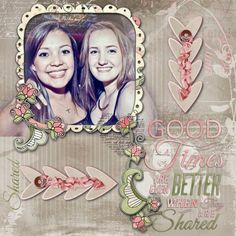 Let’s take a look at a few layouts beginning with a Day to Remember by NancyP. The outdoor theme is perfect for her photo and it’s great that she kept it large. I love the way it’s blended into the background. The muted plaid masking mimics the plaid in the boy’s shorts. The clustered borders on the left and bottom frame the photo and placing the title on the tag is a lovely touch. How amazing is Lego Man in Fairy Garden by Megan. Such a great capture and the way it’s masked by one of the kit brushes is so creative. While the masking places the photo up close, the selective framing demonstrates that the garden is actually enclosed in a terrarium. Her clustering along the bottom is impressive and the journaling on the tag with the torn edge paper on top is the perfect final touch. Outdoors by JeanetteS features a beautiful photo taken from behind always very appealing. The critter appears to perch on the bench right next to the boy. The surrounding clusters help in grounding the photo and the darkened edges as well as the bits of text work to frame the entire layout. The paper stacking in Black Swallowtail by rabbitrun is the perfect backdrop for the gorgeous photo of the butterfly. The rustic framing is ideal as are the surrounding clusters. 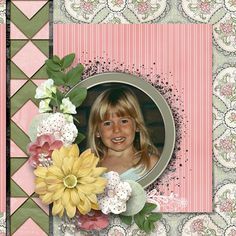 It appears she used one of the borders in the collection to complete her layout quickly while still maintaining a striking appearance. The design in Nature Hike by Judy in SD is a classic. The photos with their lifted corners run off the edge of the page which adds to her design. The clusters placed atop are pleasing and the critters direct the eye toward the photos. 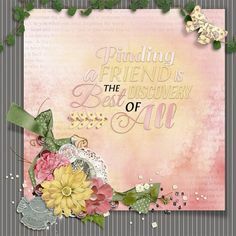 Finally as a bonus you have the opportunity to try for free a mini kit created by Karen for the Use It All challenge at TDC. This kit matches the Nature Hike Collection and while there are enough papers and elements to complete a layout I think once you give it a try you may be back to add the entire collection to your stash. I hope you have found the layouts varied and inspiring. Enjoy the rest of the week and keep on creating! Wow! This kit is gorgeous and you picked such wonderful layouts to showcase it.